The research team at Fellows has recently grown with the appointment of Jeshua Guzman, an experienced geophysics engineer with both land and marine UXO expertise. In his new role as Researcher and Analyst, Jesh - as his workmates and friends call him - will be drawing on his wealth of technical and scientific knowledge as well as specialised experience. He holds a Master of Science in Environmental Engineering and Geophysical Engineering. 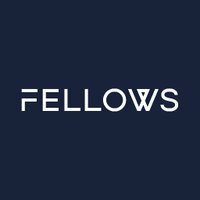 Fellows is renowned for its UXO risk assessments both on and offshore and Jesh further strengthens the team that collates and analyses data on sites of interest. Using historical information regarding location, previous site development, wartime bombing records and military history, researchers also consider site-specific environmental conditions to assess the depth to which unexploded ordnance may be buried or have penetrated and the likely risks of any disturbance in the area. Jesh’s Geophysical expertise allows Fellows to assess and utilise marine geophysical survey data to determine a list of potential seabed UXO targets for investigation and subsequent disposal. Andy Ward, General Manager of Fellows, is thrilled to have a new team member on board and is looking forward to supporting Jesh as Fellows continue to grow and assert themselves with more and more projects in the marine UXO sector. To find out more about the vital role of researchers at Fellows, read this article.